This Fondo Training Plan is for the athlete and rider that has loftier goals than just finishing. Choose between a basic, intermediate or advanced training plan based on the amount of time you have to train per week, your age and you ability level. This periodized plan will have you progressing your riding time to increase your Chronic Training Load (CTL) 40-60%. You’ll start with a Field Test will set your training zones, especially sweet spot! A second test will measure your improvement after following the plan! Athletes can expect to increase their FTP by 5 – 20%! You’ll find the FasCat Wattage and Heart Rate Zones Sheet that in this plan that has the all important Sweet Spot Training Zone! This plan was designed for the athlete that works M-F, 9-5 (ish) and has roughly 8 - 12 hours per week to ride/train. If you can train 1 - 2 hours, Tuesday thru Thursdays and 2 - 4 hours on Saturdays, this plan will prepare you optimally for your Fondo. Find an uninterrupted stretch of road, free from stop signs/lights or longer descents. This needs to be a repeatable effort as you may test throughout the season. Your goal is to put out the most power you can over 20 minutes, but also to be smooth & consistent as you perform the effort. Don't blow up in the first few minutes! Ask me for wattage pacing guidelines. Building a Hemi-Powered Aerobic Engine! Perform the Intervals by riding between 76-90% of your FTP. You should feel like you are working but not "suffering"
The Saturday Ride will be a staple for your training to prep for your Fondo coming up. In a few week's time you'll be doing longer and harder Saturday rides. Ride with a group/teammates/ or even solo over challenging terrain preferably with climbing if you have that options. Be adventurous if solo. There are no zones or wattages, but let the terrain and your motivation push yourself to all zones with an emphasis on Sweet Spot and Threshold. Tempo once you become tired 60-75% into the ride. Perform the effort at Sweet Spot Wattages, then 'burst' out of the saddle for 5 secs at 200% of your FTP (~___w) then return to sweet spot wattages. Bursts are meant to help emulate the stochastic nature of bike rides, where you have to give it some 'gas'/hard efforts to get up a steep section, out of a corner or close a gap to a wheel. 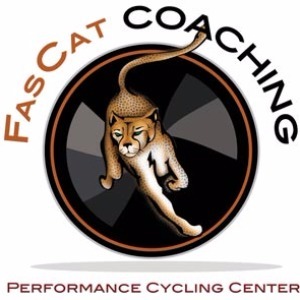 FasCat has over 14 years of experience coaching road mountain cyclocross and multisport athletes, mostly between of 30 - 60 years old. "Working men and women" that need balance and flexibility for whatever life throws at them. Before we design any training program we consult with the athlete first - how much time do you have to train - what do you have coming up? We coach thru a custom designed training plan, monitor your progress thru your data and give feedback based on our expertise.